Our professional cleaning products are safe for the family no nasty smells or toxic fumes. Your oven will be professionally cleaned in 1 to 2 hours and can be used instantly. Professional Oven cleaning Ashford Kent by the Oven Maiden, most people use their oven daily without giving its condition a second thought, your oven is one of the most hardworking and essential appliances in your home. From time to time your oven deserves to be cared for, after all, you would go hungry without it! The Oven Maiden is passionate about the oven cleaning service she provides and will always do her utmost to restore your oven to the best condition possible, even ovens that have been severely neglected can be restored to nearly new condition. 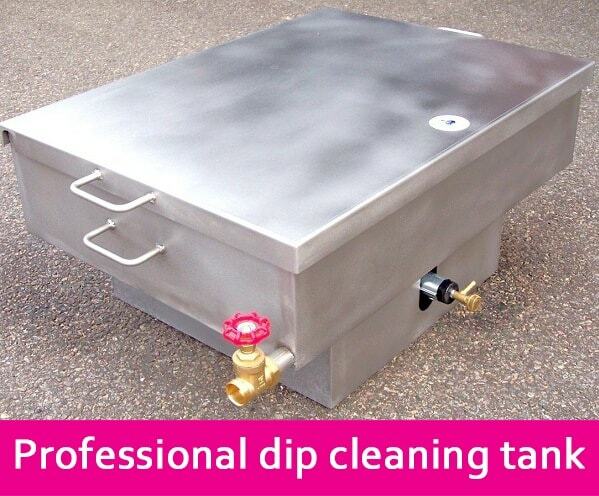 First The Oven Maiden will soak any original removable parts of your oven in her purpose built professional oven cleaning dip tank, this process strips burnt on carbon deposits. Meanwhile she will get to work on the internal oven cleaning for this she uses specialist bio oven cleaning products, the dip tank and oven cleaning solutions are ruthless when it comes to cleaning ovens, yet kind to the environment. U pon arrival the Oven Maiden will inspect the oven to understand the level of cleaning required, sometimes the oven doors will need to be removed. A ll original removable parts of your oven will be taken to the van and placed in a professional oven cleaning dip tank, this process will strip carbon deposits. B iodegradable & non caustic formula is applied to the interior of the oven. Using some elbow grease, carbon deposits, grease and fat are removed leaving the oven looking in near showroom condition. T he Oven Maiden will clean the outside of the oven using microfibre cloths, the orginal shelves, rack, and tray will then be replaced. 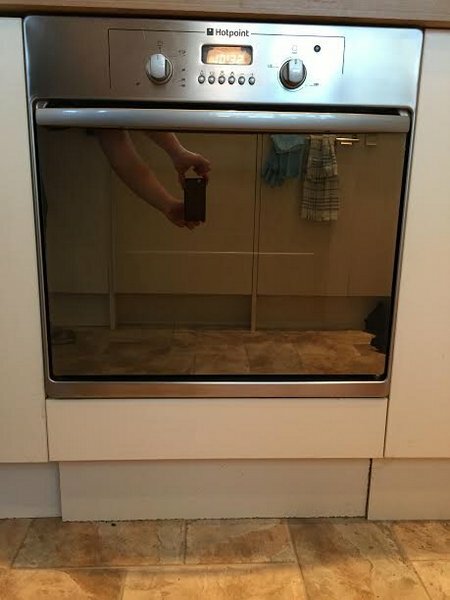 The Oven Maiden is conscious of others time, she is fast but thorough, on average the Oven Maiden will take between one and two hours to clean your oven. 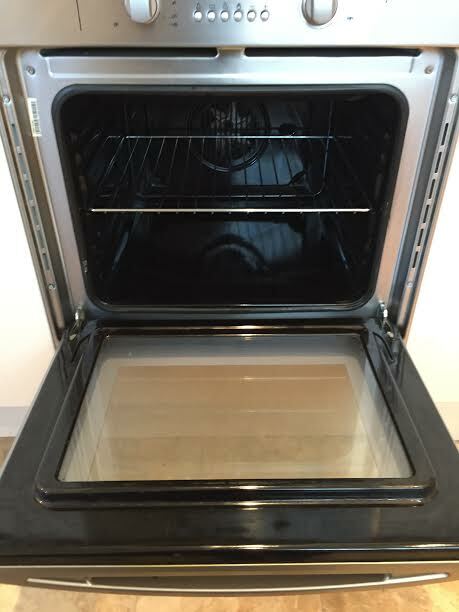 The time required for your professional Oven Cleaning in Ashford Kent is dependent on the style and size of your oven; a large range cooker will typically take two Hours to clean; when cleaning a double oven the process will more often than not take around One Hour and Thirty minutes, a standard single oven clean comes in at roughly an hour. Another factor that determines just how long it will take to clean your oven is, of course, its condition! A filthy oven with shelves and walls covered in carbon deposits will take a little longer. When booking your oven cleaning Ashford Kent, The Oven Maiden will give you a fixed arrival time on the very rare occasion she is unable to make the agreed time she will phone ahead to let you know. Due to the fact she will be working at your home and for your added protection, The Oven Maiden holds full public liability insurance up to £1 million.